Sugar, ALMOND, MILK, cocoa mass, cocoa BUTTER, cinnamon, emulsifier: E322, vanilla, gum arabic. May contain traces of PEANUTS and other NUTS. The smell of Christmas - inevitably, one thinks of chocolate, cinnamon, almonds? We took this marvelous combination of scents and created our CINNAMOND ALMONDS in order to enchant your senses. And even if you don't really like Christmas, you go right ahead and enjoy them in plain summer! 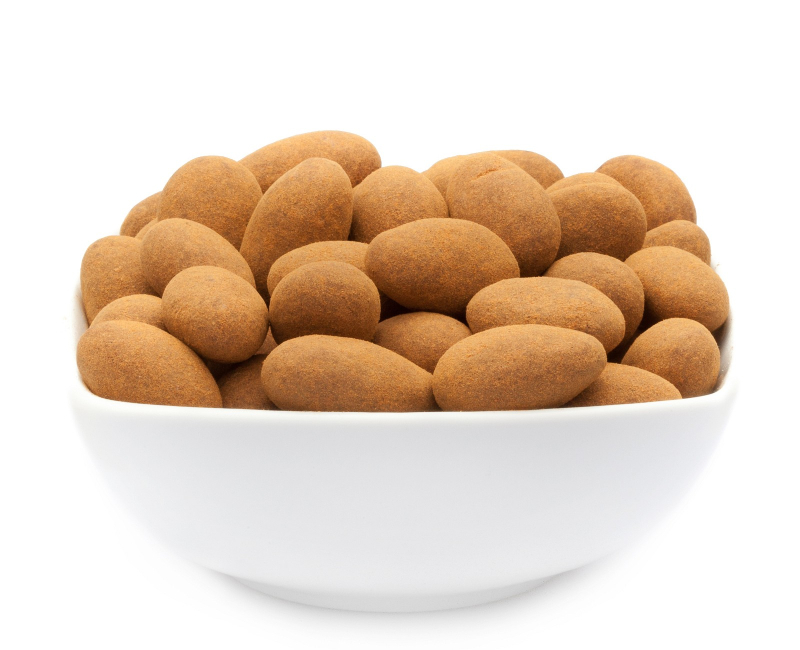 The heart of our chocolaty snacking master piece is a shy almond that likes to cover itself with plenty of whole milk chocolate and a layer of cinnamon powder. But don't worry, you won't have to work hard at all to get to that heart. Just let the wonderful coat of chocolate and cinnamon melt in your mouth, then slowly and gently approach that almond with your teeth - and crush it!